Born in 1836, Winslow Homer is regarded by many as one of the greatest American painters of the 19th century. He was born and raised in the Cambridge area, Boston, MA, and the first work he did in the field of art, was working as a print maker, in Boston, as well as in New York, which he eventually made his home in 1859. Early on in his career, in the Spring of 1861, he worked in oil paintings. The same year he was sent to work in Virginia, where he worked as the front, editor and design chief, for Harper's Weekly. Some of the earliest paintings that he created, from the Civil War, date back to 1863, and are quite similar to the prints that he did, while working in this position with the magazine. As the war came to a close, and the understanding of what the war meant, a number of his portraits which depicted the war, including Prisoners from the Front and Veteran in a New Field, were reflective of the changes and ideas that Americans had about the war, and what it really meant to the nation. During this time period, Winslow Homer and the career path he was following, was one that seemed to deal with quite a bit of experimentation, as well as trying new forms of art to portray his classical pieces of work. During this period, he was living in New York City; most of the money he made (and the way he paid the bills) was working as a painter, and designing work for magazines and illustrations for these magazines. Much of the subjects he found while working as a painter, did not stem from his home in NYC, but from smaller, rural areas that he worked around. He found quite a bit of inspiration for his pieces in seaside Massachusetts, New Jersey, the White Mountains areas, and similar smaller, rural towns. During the end of 1866, he made his way to a 10 month stay in Paris, France, working in the countryside, and taking advantage of the opportunity to see much of the work that had been portrayed in the region. Although there were no similarities in the work of Winslow Homer, and other French painters, he did share quite a few interests with painters and artists in the region. The inclusion of outdoor lighting in the works he created, serial imagery, the use of simple forms and simple strokes, were some of the interests that he took during this time he was in Paris, and the simple brush strokes that were present in the work he did during this period, was reflective in some of the pieces he created during this time. Much of the work that Winslow Homer did during this period, took a more basic approach. Some of the subjects which he depicted were young children playing in the park, or used simple depictions of parents with their children in an outdoor setting. Although he did most work in oil painting, and mastered the skills in this form of art, during the period he also began to do work with water color paintings, in order to expand on the works he would be recognized for. By 1875, the great success he had created with these water colors, allowed him to get away from the freelance work he was doing, and gave him a more solid, and steady field of work, with the great pieces that he was depicting during this period. During this period in the 1870s, Homer also returned to Virginia, where he had lived during the war and worked with the magazine company. He returned to get a feel of what had happened to the community and the people, post war, and also to find out what had happened to many of the former slaves that were now free in the post war era. 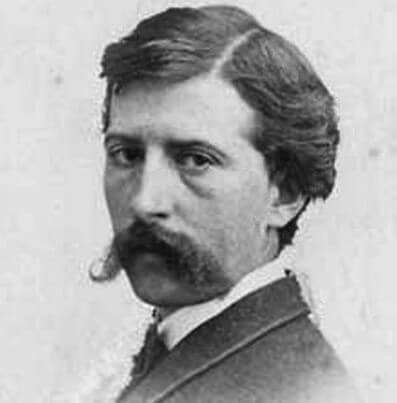 Much of the work he depicted in the late 1870s, also resembled that somber atmosphere, and some of the qualities that were present in some of his earlier pieces, while he lived in Virginia. His art work took a more intense approach, as his lifestyle changes, and desire to live a solitary life, were present during this time period of his life. In 1881, a trip to England was one of his last trips abroad; during this time he settled in Cullercoats, from late 1881, until 1882 when he departed. The strenuous lifestyles that he watched while living in the seaside town, the hard work that the residents did, were depicted in his work. He namely depicted women in these works, showing them working hard, cleaning fish they had caught, or mending the nets to throw back into the waterways. By the time he made his way back to New York, and had experienced this extremely different culture and lifestyle, the work that he depicted, the type of art he created, and his life in general, had changed. From the summer of 1883, until his death, Winslow Homer resided in a small town a few miles south of Portland; and, apart from a few trips in the US during his final years, spent most of his days in his new home. Much of the work he did during his final years, were some of the most impressive water colors that he created during the course of his career. Isolation and solitude were things he enjoyed later in his life, and he got that in this small seaside town. By 1890, much of his work depicted more dynamic interpretations; these contemporary pieces, were the pieces that are most well known, and the art work that is most admired by his audience and his fans. Homer died in 1910, yet his work has lived on, even with new artists making their way onto the scene in later years. Much of his later work is some of the most well known, and many of his contemporary and modern pieces are depicted in a number of museums in Boston and in New York City.